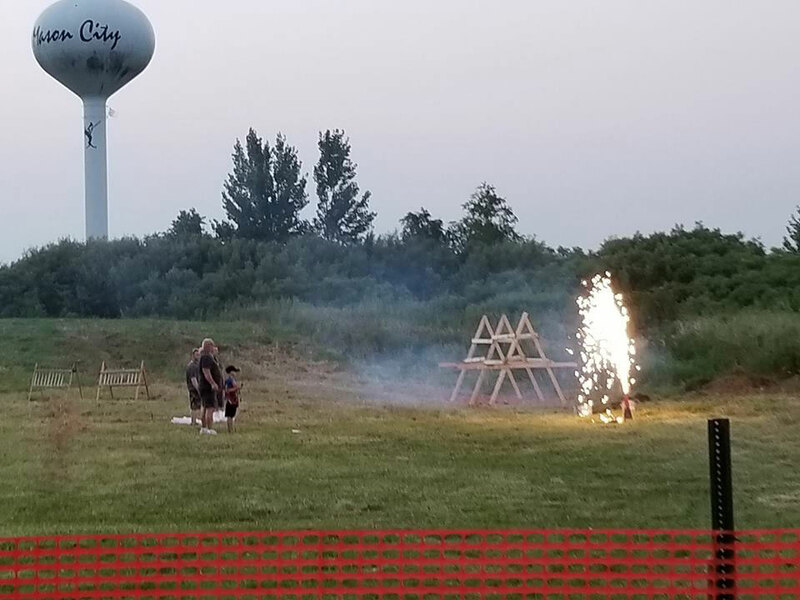 The Pyrotechnics Guild International is holding its convention in Mason City. The Fourth of July is long past but the nighttime skies over Mason City are bursting with fireworks. The annual convention of the Pyrotechnics Guild International is underway at the North Iowa Events Center. PGI president Paul Smith says Mason City has been a great host of the convention in the past and that’s why the organization is back again this year. Smith says the whole week deals with people who are interested in making and displaying pyrotechnics. He adds, it’s not just about shooting off the fireworks, it’s about educating members. Mason City is hosting the convention for the fourth time, following previous events in 2005, 2009 and 2014. Last night’s public display at the North Iowa Events Center was postponed to tonight due to the weather. More public displays are scheduled for Tuesday and Friday nights. For ticket information, head to visitmasoncityiowa.com.